The Jefferson County Farm Bureau recently received the highest level of Agro Award attainable. 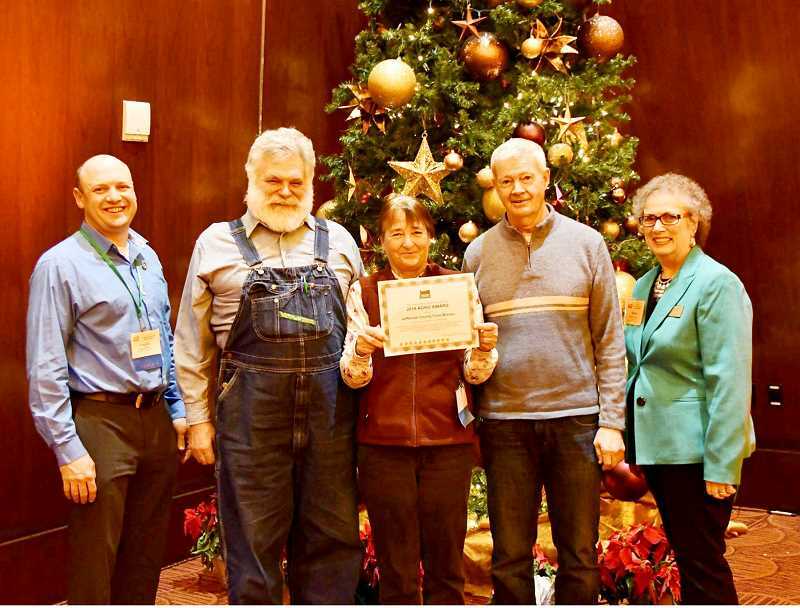 The Jefferson County Farm Bureau recently received the highest level of Agro Award attainable for the 2017-2018 membership year. In total there are 11 categories of Agro Awards offered by the Oregon Farm Bureau to the county bureaus. For each category the counties, win they receive a star. The Jefferson County Farm Bureau received all 11 this year as one of eight out of the Farm Bureaus throughout the state, according to Ann Marie Moss at the Oregon Farm Bureau. The Agro Award categories include membership goal attainment, local government activities, state government activities, national government activities, Farm Bureau women, health and safety, membership acquisition and retention, young farmers and ranchers, information and community relations and special programs. In order to receive the award, the Farm Bureaus submit an application that is judged by a committee made up of farmers and ranchers around the state to make sure they meet the criteria in each category. The awards were presented at the 86th annual Oregon Farm Bureau meeting in December in Salem.